Laserfiche announced today that Dysart Unified School District and Pepkor Properties have won Laserfiche Run Smarter® Awards for their best-in-class finance initiatives. Dysart Unified School District: One of the fastest growing school systems in Arizona, Dysart Unified School District prioritizes maintaining modern facilities and services. The district automated previously paper-based accounting processes—including payroll and benefits, accounts payable and accounts receivable—and eliminated the manual filing of paperwork, increased accessibility of information and made processes run approximately 75 percent faster. Pepkor Properties: A division of Pepkor Trading, Pepkor Properties manages the largest retail property footprint by number of stores in Africa. The organization used Laserfiche to streamline the management of more than 5,000 contracts. The re-engineered processes have broken down geographic barriers between team members throughout Africa, enabling staff to reconcile invoices and make legal documents immediately available. 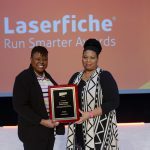 Each year, the Run Smarter Awards program recognizes organizations that use Laserfiche enterprise content management (ECM) software to improve productivity, transform business processes and realize visionary initiatives. 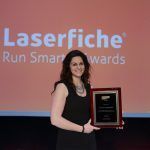 The Laserfiche Run Smarter Award winners were announced during the Laserfiche Empower 2017 Conference. In total, 31 organizations from around the world were honored during the event. The full list of winners is available at the Empower 2017 Conference website.